You may not know this, but I am attempting 200 books in 2015, via my Goodreads Challenge. I’m over halfway, but still have a bit of work to do on my goodreads to update my listings. That being said, I think it would be great to bolster my books read, especially considering November is NaNoWriMo and I write a book during that month (which eats into my reading time)… So enter the #15in31 challenge, hosted by Estellasrevenge.net. Sign up for your own challenge by visiting the host site. Do you sign up for challenges? 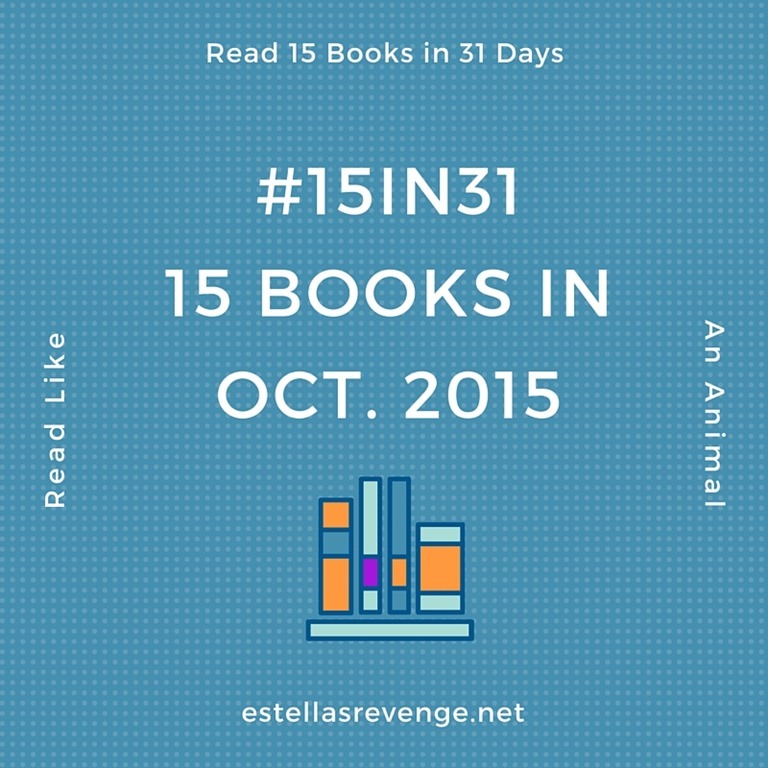 Do you think you can read #15in31?